Hey everyone – super quick post since it’s the first day of school! 🙂 Today I’m showing you Blue-Eyed Girl Lacquer Untrodden Snow and Monster’s Tea at Tiffany’s – both received in a swap with a fellow blogger. Untrodden Snow is a delicate white (with a hint of pink) polish with white micro flakes. This had a good consistency but applied a bit unevenly. This is 2 coats plus top coat. 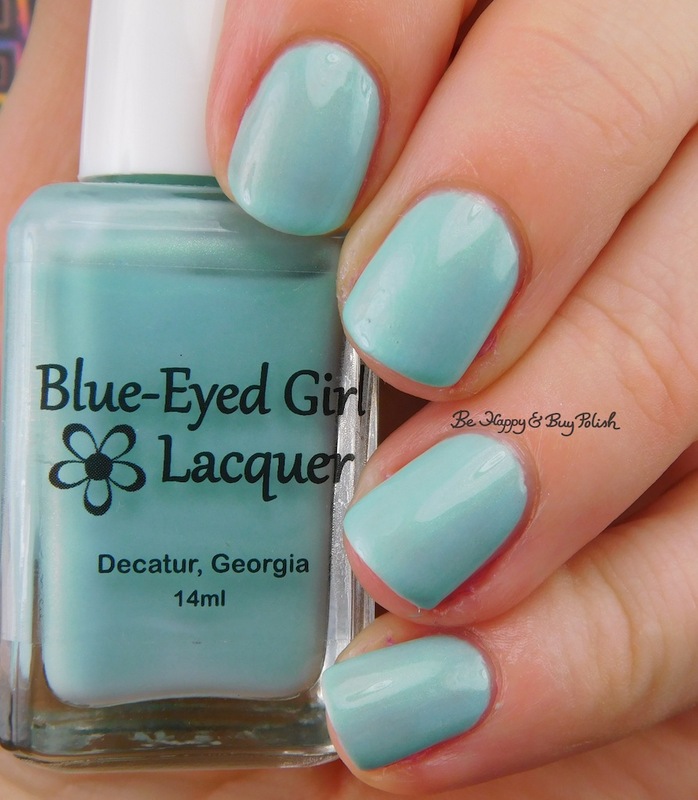 Monster’s Tea at Tiffany’s is a Tiffany blue polish with green shimmer. This also had a good consistency but also applied a bit unevenly. It does dry dull. This is 2 coats plus top coat. I like how soft and light both colors are.